Although I am not a horseman, my wife grew up riding horses and our 12-year-old is a rodeo athlete. My role seems to be a crazy mix of stable hand, horse groomer, cheerleader, photographer, and student. One of the things I’ve learned is the importance of the warm-up. Watching the kids prepare for a rodeo or practice, they always warm up their horse beforehand. Similarly, before I let one of the grandkids ride a horse, I first ride it around myself to warm it up. If a rider hops on a horse and takes off without a proper warm up, unpredictable things tend to happen. At best, starts and stops may be slower than desired and attention to rider signals will be lax. And depending on the horse, frequency of workouts, weather, and a host of other variables, the horse may buck, act up, or outright rebel against the rider. Although the warm up is physical activity, it is mostly about the horse’s mental preparedness. When a horse is left for extended periods to run the pasture without being worked, he tends to start acting entitled. He starts forgetting his role on the farm. Roles invert, with the horse acting like the master is his servant, charged with serving his needs with no right to expect anything of the horse. The warm up is intended to correct this misperception. It is a focused attitude adjustment activity. It reminds the horse of his role to serve the will of the rider, and refreshes recollection of nonverbal rider cues. The warm up prepares the horse for peak performance and quick response to rider prompts. The more frequently a horse is ridden the shorter the required warm up period. For horses used frequently, a ten minute warm up works well. However, a horse left unworked for several months will require a much longer warm up, and really needs increased riding frequency for peak performance. I find myself reminded that I’m not so different from a horse. If left unused for extended periods, I tend to start acting entitled…treating God like He is responsible for serving my needs with no right to expect anything from me. Before I can be useful for kingdom service, I sometimes require a warm up…a temporary period of discomfort designed to adjust my attitude and prepare me for service. And, like our horses, the longer I go between times of service, the more warm up I require. To stay prepared for service, I need to serve frequently. To hear and respond to the Holy Spirit’s prompts, I need to continually listen and respond. 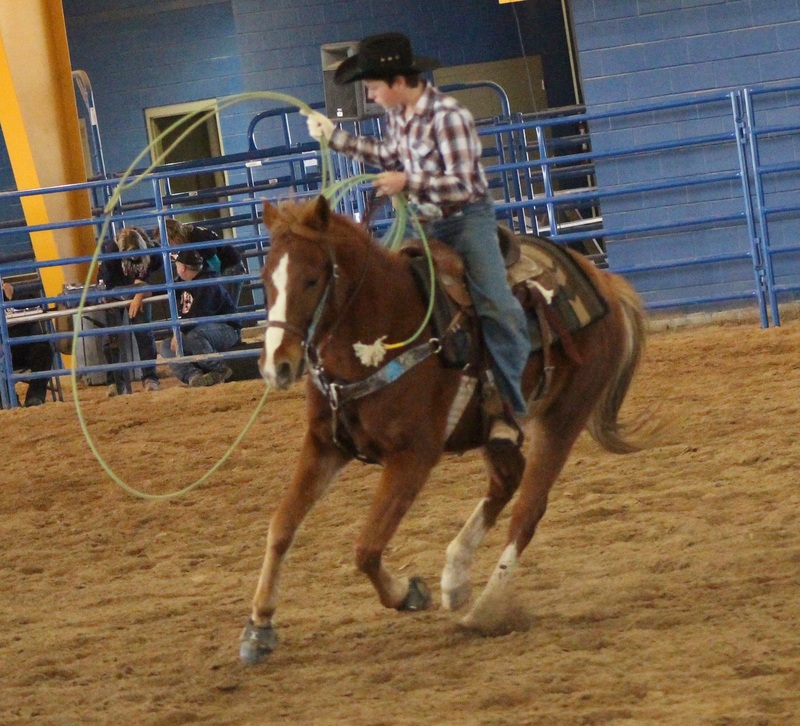 This entry was posted in free will, Horses, Ministry and tagged christian, faith, holy spirit, horse, horseback, living, ministry, perspective, prepared, riding, rodeo, service, warm up by joe. Bookmark the permalink.